Just like with AngularJS, Vue.js enables two-way data binding, so that the model and view components of an application are constantly in sync. However, as opposed to Angular’s dirty checking method of detecting changes to these components, where it actively checks every object for changes at regular time intervals, Vue.js uses reactive data binding. This method uses dynamic getters and setters to watch out for changes in each object, which proves to be more efficient and results in better performance. Vue.js allows developers to easily add transition effects to animate different web components whenever they are added, removed, or modified within the application. It also provides a tool to easily integrate third-party animation libraries into the application. The table below lists some advantages and disadvantages to using the Vue.js framework. Also, it is worth noting a remarkable Vue Command-line Interface known as CLI. CLI was developed by Vue team for reducing initial project setup and scaffolding time, which simplified the life of every Vue developer. This system allows generating a project to start on much quicker and generate scaffolding for the development process in minutes according to the project requirements. Additional features can be installed based on specific requirements, so the programmer can choose what settings to work with. Referring to current stats of the last year, 48% answered developers have shown interest in exploring Vue.js and 20% have been already using Vue.js for work for more than 1 year. In fact, 90% of the programmers mentioned Vue.js as a useful framework that they will probably use in future projects again. It is a remarkable statistics both for developers starting learning Vue.js and companies eager to hire Vue.js developer. What is more, the rising popularity of this framework encouraged a number of firms in a re-qualification into a solid Vue.js development company. Facebook uses Vue.js to operate a part of its Newsfeed, including marketing mechanisms. It proves that this framework is reliable and helpful enough to manage such important processes. A note should be made that Facebook was the first company to hire Vue.js programmer and announce it in public. Vue.js is a great tool for building movie streaming interfaces, and Netflix values it a lot. Vue.js is implemented in the internal apps of Netflix and support the main algorithms of the website. Portfolio, one of Adobe products, is a custom website creator usually used by customers that want to present their works in public. The idea was to provide users with an exceptional experience, combining high loading speed, pleasing appearance, and strong technology basis. Vue.js covered all Adobe needs and it was the Vue.js Front End Developer that switched to the new framework shortly, being able to transfer the existed databases into Vue.js. It proves that it is easy to integrate Vue.js with any existing codebase and common servers. Xiaomi is not a Vue.js development company, but this one of the most rapidly growing Chinese electronics and software company uses Vue.js in their products a lot. The company develops and sells many kinds of electronic devices and software all over the world and it is known for affordable prices combined with surprisingly good quality. Nowadays, Xiaomi operates with more than $1B valuation using Vue.js as one of the main frameworks for its products, which proves a strong international adoption of this framework. Another impressive Chinese company that uses Vue.js for operating algorithms is Alibaba, also known as AliExpress, the biggest online market platform available worldwide. This popular and trusted market giant implemented Vue.js for sorting and displaying algorithms to provide customers with search results within the shortest time possible. The displaying and operating speeds are essential not only for marketplaces and can be useful for different kinds of online stores. Another great example of a company that decided to hire VueJS developer team for improving its performance and user satisfaction is the budget airline WizzAir. With the help of Vue.js framework, WizzAir improved loading speed and user-friendliness of their website and apps. Grammarly can be proud of their simple and beautiful user interface. It is significant to note that the website and applications were created with the use of Vue.js initially because Grammarly front-end developers decided to use this helpful framework from the start to make the development process easy and the result pleasing. GitLab doesn’t need an introduction. But this open source solution also follows the list of the companies that admired Vue.js usefulness and convenience. In the past, GitLab faced difficulties in managing their Rails + jQuery app, but Vue.js helped to decrease operating time and increase cost efficiency. Also, the additional complex features available for this framework allowed GitLab to release the functionality they wanted to provide users with. Livestorm is a well-known web-based webinar solution used by many companies all over the worlds. With Livestorm service, they arrange live product demos, web conferences, employee training, etc. Due to Vue.js framework, the website was able to ensure high loading speed and easy-to-use web design, and Livestorm revenues increased in almost 30% in one week only after implementing Vue.js for their needs. Also, it is worth noting a number of positive reviews from satisfied customers. Unlike the previously mentioned companies, Behance used services of a Vue.js development company to move from self-developed solutions to community-supported algorithms and a well-developed website. Nowadays, Behance is a leading platform for posting, sharing, and collecting creative works and it uses Vue.js to operate the website and the apps today as well. Thanks to Vue.js framework, Behance provides remarkable performance and manages to stay cost-effective as well. Due to the number of easy-to-use helpful features and quick performance, it is easy to create Vue application. If you are a beginner Vue.js developer, take a look at this prompts to make sure that you use all advantages of Vue developer tools. This article contains more prompts of the component building, in case you need more information on this matter. Can’t find a VueJS developer in your region? 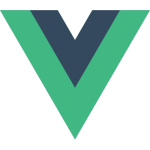 It is important to note that besides a core model, Vue.js includes a set of opinionated libraries developed by Vue.js coders such as Vue-Router, Vuex for managing information, Vue-Cli for creating a new project from scratch. This way, it is easy to build any Vue JS hybrid app. Please note that beforeRouteUpdate is just a code hook to work out when your code should be performed after the changed route. It is amazing that Vue.js minimal load time is nearly 30 KB only. It includes the work of the core module, the router, and additional components. No wonder that the framework is popular in Vue.js mobile app developing. This minimal footprint provides the shortest load time and, thus, the highest speed for customers and the best ranking by Google crawler. Also, basically inspired by ReactJS features, Vue.js implemented Virtual DOM since Vue.js 2.0. Virtual DOM is a useful way to generate a one-time DOM in-memory every time the state changes, and it compares the current state to the actual DOM. This way, a Vue JS developer can improve some required parts only, and Virtual DOM will update only those parts instead of re-rendering the whole application. every second Vue JS developer uses Node.js and every third coder mentions Laravel. One of the strengths of Vue.js is its component-based architecture, which uses independent components that may be rearranged and modified without affecting other components. It also enables reusable components that eliminate unnecessary code repetitions. A good Vue.js developer must have a mastery of how component-based architectures work in order to put this feature to good use. As can be seen from statistics, Ukrainian VueJS developer hourly rate is the lowest one; at the same time, Ukrainian programmers are widely known and demanded as highly qualified specialists. So, when planning to outsource Vue.js developer, it is a good idea to take a look at Ukrainian freelance programmers. A remote Vue JS developer with solid knowledge and experience is the field can contribute significantly to the development of your project. Is It Possible to Hire Vue.js Developer at Mobilunity? Want to hire Vue.js developer to start working on your project right now? Contact us and get a dedicated professional team to help you shortly!